When we pray for our Nation, our City, our communities, our family and friends, when we speak out blessings and Scripture over them, what do we actually achieve? What I mean is, when we don’t immediately see anything tangible happen, how do we know that God has heard and is acting on what we are saying? Well, of course there’s plenty you can take from the Bible on the subject that will assure us that He always hears and he does act. One of my favourite examples are the prayers of Daniel, in Chapters 9 and 10, where his first prayer is answered whilst he is still saying it, about 3 minutes flat! Angel Gabriel shows up and says to him, “As soon as you began to pray, a word went out, which I have come to tell you…” and Gabriel gave him a prophetic word in answer. The second prayer however took about 3 weeks to receive a response, but this time, when he appeared, Gabriel indicated that a ‘battle’ had to take place in the spiritual realm before a response could be given. He told Daniel that a demonic force had resisted and detained him for all that time and he had even had to get help from Angel Michael!. 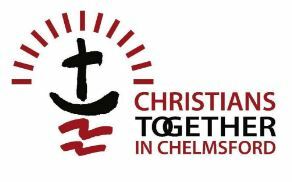 Chelmsford 24-7 joined with those who were already praying here and has catalysed a greater degree of prayer over Chelmsford for more than 18 months now, and there is little doubt that a battle has been raging.throughout. The enemy does not want to give up our City! But it is sliding from his grasp. ‘Every prayer a powerful weapon, strongholds come tumbling down, and down, and down’, are the words of a Chorus we used to sing. As I find myself drawn into a new Vision, to Call the Nation to Prayer, not just for those who are presently Christians, but for EVERYONE to cry out to God for deliverance and salvation, sometimes I am seeing glimpses of how ready people out there really are. I am certain that our prayers have seeded and softened hearts and minds ready for the soon to come ‘end-time’ harvest. 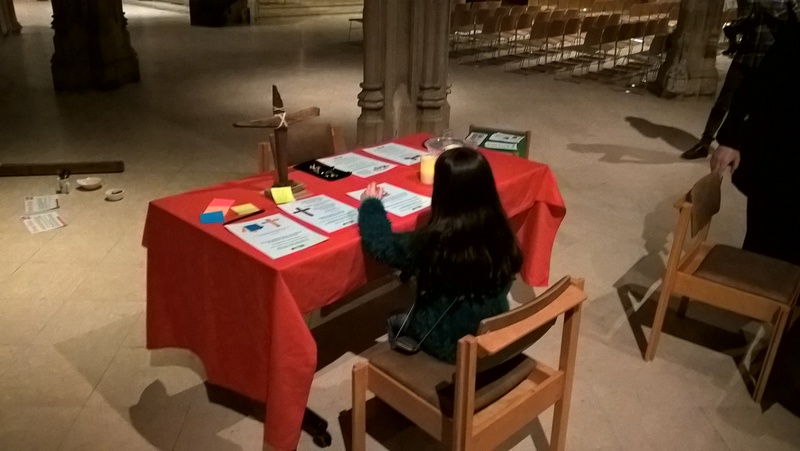 In September, I had just finished setting up our Prayer Space at North Avenue United Reformed Church in Melbourne. It was not quite opening time and it was a lovely day, so I stood outside in the car park. Three ladies arrived, and called over to me, “Where do we go?”. I told them, “Community Cafe and Food Bank that way”, indicating the main church building, “or if you want to pray, it’s this way”! They had come to the Food Bank, but their immediate response was that they definitely needed some prayer and within a few minutes were sitting in the Prayer Space in the Youth Centre, next to our Golden Bowl (prayer station for physical healing) and Bowl of water with stones (for repentance). They all seemed quite forlorn. One spoke of having ‘demons’, and awful things happening at home. Another of a serious physical illness, which could lead to her premature death, brought on by previous drug abuse. I ascertained that parents or other relatives were probably Christians and that the three had a long time previously been to a church – although they didn’t know what a ‘URC’ was, asking if it was ‘Christian’! It was then, as they sat there, that I felt I should tell them the story of the Prodigal Son, in the context of ‘The Loving Father’. I told each of them how God loved them so much and how he was waiting, longing for them to come back to Him. Tears were shed, prayers for healing were written and stones for forgiveness were placed in the other bowl. A heaven touching earth moment occurred. I’m sure too prayers previously said over them, perhaps by relatives, by people praying over their community, were there and then answered. More seeds too at that moment were sown for the Gospel of Jesus Christ. It was like the story of the Samaritan woman at the well. She came for water and met Jesus, the living water. These women came for food but they too had a meeting with Jesus. I pray they will never be the same. Keep praying, praying hard, pray without ceasing that all the people of our City will have similar meetings with the Saviour, that as yet they do not know they have. Previous PostShattering the Stained Glass WindowNext PostLooking Back at 2016 & Aslan is Coming!